Each class is worth 6 ECTS credits (3 U.S. credits) unless otherwise noted. Classes meet 40-45 hours per semester and are held Monday through Thursday with an occasional activity on a Friday. Spanish cinema undergoes an important transformation following the death of Franco in 1975 and the ensuing democracy. During these last 30 years, Spanish cinema has become a stronger player on the European scene and has gained recognition which was unthinkable only a few decades ago. This course will analyze the historical evolution of this period as well as introduce the student to Spanish films up to the present time. ART/SPAN 333E Film Nations: Comparative Perspectives on Spanish and U.S. Cinema. This course provides an anatomical and physiological overview of human structure and function. Human gross anatomy and histology is related to cell, tissue, and organ level physiology for each of the major body systems. Topics include the musculoskeletal and central nervous systems as well as cardiovascular, renal and endocrine systems. In English. Prerequisite: A previous course in Anatomy and Physiology. This course is an introduction for students to basic concepts and unifying principles of microbiology. The goal of this course is to provide the student with an understanding of the general concepts in microbiology, as well as inform about the general practices used clinically to identify and treat the most common infectious agents. The course is oriented towards the clinical aspects of microbiology, but does introduce historically significant discoveries to convey important topics. The labs are designed to familiarize students with aseptic methods of microbiological techniques and with its applications in clinical and environmental microbiolgy. In English. Organic chemistry is the chemistry of the compounds of carbon. CHE 210 is the first half of a comprehensive one-year course suitable for science majors. The first semester course includes structural and functional aspects of saturated and unsaturated hydrocarbons with various heteroatom functionalities. Discussion focuses on the mechanistic basis for organic compound reactivity. First semester laboratories concentrate on the basic techniques and procedures used in organic syntheses and separations, including microscale techniques. In addition, modern analytical techniques (e.g. infrared spectroscopy) used in the identification of organic compounds will be discussed. In English. A continuation of CHE 210 with focus on complex chemical reactions and syntheses utilizing fundamental principles. The study of mechanistic functional group chemistry will be a primary focus. Second semester laboratory extends previously learned macro- and micro-scale techniques to more complex systems and explores chemistry discussed in the lecture portion of the course. In addition, modern analytical techniques (e.g. nuclear magnetic resonance spectroscopy, UV-visible spectroscopy, and mass spectrometry) used in the identification of organic compounds will be discussed. In English. The objective of this course is to show the composition of the authentic Mediterranean diet and study from a biological point of view the components that are responsible for the positive effects for health. The course is intended to teach students about the important role of nutrition on longevity and diseases related to aging. The Mediterranean diet is a type of diet located geographically in countries bordering the Mediterranean Sea. This diet has unique characteristics since it combines excellent gastronomic properties with a high and extremely healthy nutritional value. However, a series of myths or fictions have been created around the Mediterranean diet that are not real and that simply devalue this type of diet that has properties which can help to improve the health in general and to promote longevity. This course is designed to give participants a solid understanding of what intercultural communication is, how to benefit from it and how to manage it in our personal and future professional lives. Using an interdisciplinary focus, we examine values, customs and communication styles of cultural groups and we learn to interpret communicative behaviour of others. There will be a special emphasis on the Spanish form of communication. The topics to be covered include the process of internationalization of companies, alternative forms of international business and international alliances (exports, frachises, subsidiaries, licences, strategic alliances, joint ventures…). The class also looks at environmental factors, globalization, management functions, human resources and diversity, different organizational cultures and the role of strategic business management in a globalized world. The course examines the most relevant perspectives and approaches which attempt to explain the nature, structure and functioning of organizations. Students will study organizational design and leadership roles which create and transform the organizational structure of an organization. Students will also learn how to diagnose organizational problems and find possible solutions. This course covers the history of Spain since the 1930’s until the first decade of the 21st century. It analyzes the social and economic transformations during this period, the interwar period, the experience of dictatorship, the transition to democracy and its development and the participation of Spain in the project of European unification. Additionally, and following the latest historiographic currents, this course presents monographic themes of interest to Spanish history such as gender, family and sexuality, nations and nationalism, the environment, religion, immigration and global history. Lastly, problematic concepts which have been applied to Spain’s history will be debated such as “failure” or “success”, “backwardness” and “normalization”… This course attempts to determine whether Spain is “different” or not. The main goal in this course is to give students an overview of Spain’s history over the past 500 years, with special emphasis on events that have marked Andalusia more profoundly. Additionally, we will study and analyze different trends and phenomena of modern day Spain, along with some traditions that still hold in our time. Field trips, projections of slides and videos will all be key elements in this course to present the student a clearer perception of each period. This course is an overview of Latin American writings from the pre-Hispanic period until the eve of the Independence movements in the 1820s. It includes literary works in poetry and non-fiction, such as the chronicles of conquest. It also features a selection of literary works (including prose, drama, and essay) that have received recognition from specialists and the general reading public for being the most outstanding in Latin America. Conducted in Spanish. The objective of the course is to give the student a global perspective of the relations between the United States, Spain and Latin America throughout history. The course will also study the series of problems which have shaped the character of interamerican relations, the mechanisms of economic integration and its repercussions in the socio-political sphere. This course is designed to offer a comprehensive view of Cultural Psychology and its most important phenomena, examining them from a theoretical basis and observing them in our daily lives. To combine these two perspectives in our classes, we will complement the theoretical dimension with materials such as films, scientific articles, documentaries, and presentations. This course is designed to offer a comprehensive view of Social Psychology and its most important phenomena. Our approach will depart from the theoretical basis of social psychology but our learning process will be directly connected to our daily lives. This means that learning will combine the theoretical dimension with a set of new ways of looking at reality, at social others, and at yourself. To combine these two dimensions in our classes, we will complement the theoretical dimension with examples that will help us to identify and understand the theory on the basis of materials such as films, songs, conferences, and presentations of students’ research projects. The course will provide an overview of the field of sports psychology and exercise, which involves applying psychology topics to exercise, sports, competition and health. Topics will cover how sports psychologists work –at any level- with athletes and teams on motivation, concentration, resilient personalities, attention as well as decision making based on interbehavioral, cognitive and other important aproaches in sports psychology. Topics will include theoretical foundations of behavior, procedures for solving problems, adherence and motivation, etc. This course offers an up-to-date overview of the most salient features of Spanish society through a 15 hour volunteer experience with a local non-profit organization. The focus is on solidarity-based integration and the projects of these entities center on the socio-educational and social care and support fields. Special relevance will be given to the study of the role of social volunteeting in the Spanish welfare state. This course offers a historical overview of the relations between Spain and the United States up to the present day. Starting with the Spanish colonial rule and surviving legacy in the southern and western United States, following with Spain’s role during the War of Independence, and ending with the 1898 Spanish-American War and US relations with Franco and democratic Spain, students will become aware of the strong ties that exist between both nations. In English. Food is one of the most important cultural expressions in today’s society and the tapa is, possibly, its best example. This course will take place in our kitchen laboratories where we will cook and taste a variety of dishes. Through these dishes, we will discuss the different aspects such as products, producers, history, society, nutrition, culinary technology, quality criteria, etc. All of these aspects are of vital importance in understanding what tapas represent in Spanish culture. Conducted in Spanish. – Interrogative pronouns ¿Qué? ¿Cuál? ¿Dónde? ¿Cuántos? This 1 credit course is designed to complement the Elementary Spanish class and aims to improve oral communication skills. Guided conversations such as role play, theater, etc. will serve to increase language competence. Sessions in the language laboratory will focus on addressing specific pronunciation difficulties. Conducted in Spanish./(1.5 Spanish credits). This course is designed for students who have had two semesters of university-level Spanish. Emphasis is on expanding vocabulary and building oral and written communication skills as well as acquiring a greater awareness of the Spanish-speaking world. Conducted in Spanish. The content of this course is at the A2 level according to the Common European Framework of Reference for Languages. Designed for students who have had two semesters of university-level Spanish, this course continues developing reading and writing skills through written reports, compositions and class discussions on assigned topics and articles. It also reviews more advanced grammar with the purpose of achieving greater accuracy. Conducted in Spanish. The content of this course is at the A2/B1 level according to the Common European Framework of Reference for Languages. – It is advisable to have the skills needed for Intermediate I (at a lexical and grammatical level) as well as know some forms of the past [present perfect tense (Pretérito perfecto), past simple (Pretérito indefinido) and Imperfect (Pretérito Imperfecto)]. – Previous knowledge of basic markers [also (también), because (porque), when (cuando), therefore (por eso), first (primero), after (después), then (entonces), at the end (al final), suddenly (de repente)]. This course is designed for students who have had at least two semesters of university-level Spanish. The focus will be on increasing vocabulary and developing both oral and written skills to attain effective communication skills in Spanish in the field of healthcare. Classes will be both theoretical and practical. Work in groups and pairs will be the basic tools of our teaching methodology and thus active participation will be required in order to promote interaction and increase fluidity in oral expression. This course is designed for students who have had three semesters of university-level Spanish. Emphasis is on expanding vocabulary and building oral and written communication skills as well as acquiring a greater awareness of the Spanish-speaking world. Conducted in Spanish. The content of this course is at the B1 level according to the Common European Framework of Reference for Languages. – Possess a command of the present, of the different past tenses (pretérito perfecto, pretérito indefinido, pretérito imperfecto y pretérito pluscuamperfecto)] and contrast among them. This course provides an introduction to translation from Spanish to English and English to Spanish. Particular attention is given to the linguistic issues involved in translation. Short literary works as well as articles will be translated into English as homework assignments. Special emphasis will be placed on Spanish idioms and their translation. Conducted primarily in Spanish. Introduction to bilingual negotiation skills in business and Human Rights settings. 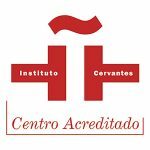 A focus on the four phases of negotiation: Preparation, Negotiation, Contract and Performance/Evaluation and on basic Liaison Interpreting Spanish to English and English to Spanish techniques.